Reggae music is Jamaica's heartbeat and our most distinctive musical form. The addictive beat, the acceptance of this unique sound and its universal appeal has crossed language barriers. Since the 1960's when this cultural heartbeat was born, the pulsating rhythm reverberates and has captures an international audience. But to truly experience reggae is to attend a sound system dance, whether uptown or downtown or attend one of Jamaica's annual reggae music festivals. Visitors to Jamaica come just to hear authentic reggae and find out what is reggae. 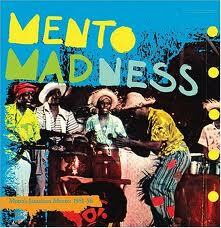 The start of reggae music originated in its early form of music called "mento". Mento was introduced to the island by African slaves. In the late 1950s the calypso sound from Trinidad was introduced to the island's music scene. At the same time, rhythm and blues and rock 'n' roll were also imported from the United States. The radio stations during the 1950s played mostly American and European music. But Jamaica's music was evolving. We mixed both forms of music with mento and created a danceable sound that drew people into large yards and dancehalls throughout Jamaica. Then musicians started to mix boogie-woogie with rhythm and blues to form a vibrant music named ska. In those days most people could not afford a radio and had no access to one, so dancehall sound systems brought people together to dance and have a good time. There they were able to hear the new music sound and beat, ska, and where the music of Jamaica could be played without restraint. During this time of ska, artists like Don Drummond, Cluet Johnson, Roland Alphanso known as The Skatalites and others headlined the music of ska. 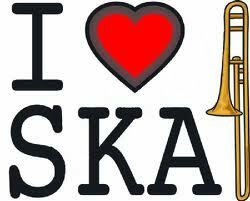 Ska was played over a large and powerful sound systems that had amplifiers, turntables and speakers that deejays used to expressed themselves and was at the heart of these large yards and dancehall gatherings. Rastafarian started influencing Jamaica's music during this period of late 1950 to early 1960, by singing songs that addressed social problems. One song that was born in that period was Oh Carolina, that featured the burro drumming of Count Ossie, a renown Rastafarian elder and percussionist and sung by the Folks Brothers, that can even to this day, bring any dancehall or Jamaican party jumping to the rhythm and beat of this music. Even the elders start acting like young people and start tapping their feet, moving their hips and getting completely caught up in the drums. It is kumina at its best. 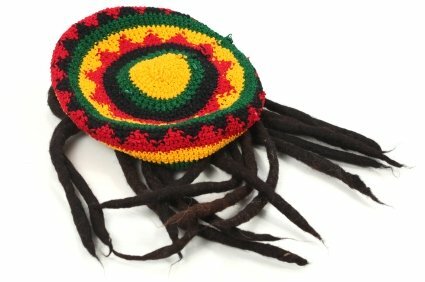 The spread of Rastafarian started a new way of thinking, a new consciousness, that had more elements of the African Jamaica identity and pride. Then the trombonist and leader of the The Skatalites, Don Drummond became a highly politicized Rastafarian. He and other musicians altered their rhythms to reflect the African drumbeats known as kumina and also to express their new voice. So the music that was now being played at dancehalls and large yards also changed the nature of the guests that attended these events. Continuing in the 1960s, Jamaica's own Toots and the Maytals wrote and performed a song named Do the Reggay. 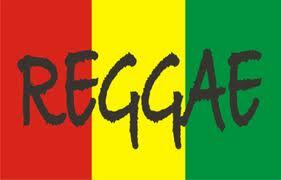 The term reggae was born and is defined as coming from the people. Reggae was propelled onto the world prominence by none other than the late Bob Marley and Jimmy Cliff. Other leading reggae artists include Luciano, Winston Rodney known as Burning Spear, Dennis Brown, Beres Hammond, Shabba Ranks, Buju Banton, Winton "Yellowman" Foster and leading Jamaica bands such as Third World the The Mighty Diamonds. This music has crossed political and racial lines. Even international music stars that were influenced by reggae music, such as the Rolling Stones, Eric Clapton, Stevie Wonder, have incorporated some of the reggae rhythm into their sounds. Music is everywhere in Jamaica, from the radios island-wide to the blare from motor vehicles to shop fronts. And whenever you hear that narcotic beat, you just cannot help it, you want to tap your feet, move the hips and snap those fingers to the beat. No tourist brochure can ever introduce Jamaica to the world as how the sound of "Jammin' Jamaica and Rockin' Reggae has. Return to "What Is Reggae?" 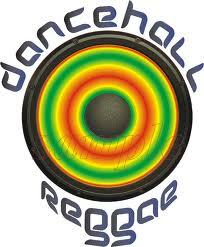 from "Reggae Music"